This guy is really lit! So are his bagpipes! 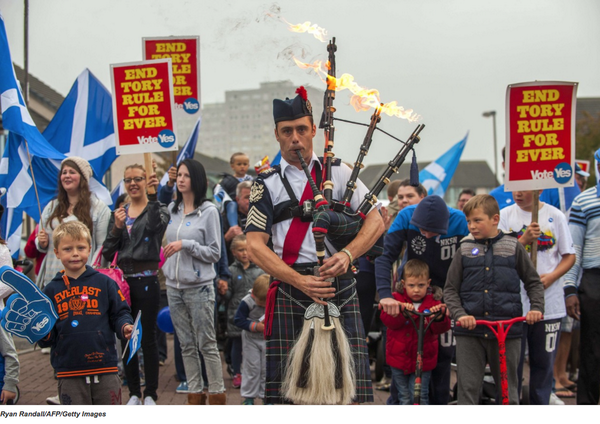 From the voting festivities in Scotland today, a very graphic demonstration of why one should never, never, never drink and play bagpipes. In every other way, this vote should be closely watched. Two nations pushed together by force of arms hundreds of years ago, discussing whether and how to split up. No guns. No tanks. Lots of discussion, lots of fun, lots of ballots. 97% of eligible voters registered to vote, and indications are at least 90% of them turned out. Can you imagine what would happen in U.S. elections if 90% of registered voters showed up at the polls, instead of 40%, or 30%? Can you imagine if 97% of U.S. eligible voters bothered to register, instead of the less-than-50% we have now? You bagpipes would flame, too. Details at Bill Moyers.com, where you can see this vintage critique of current politics (even though it’s a year and a half old). Bill Moyers Essay: Plutocracy and Democracy Don’t Mix from BillMoyers.com on Vimeo. Text of his remarks below the fold. 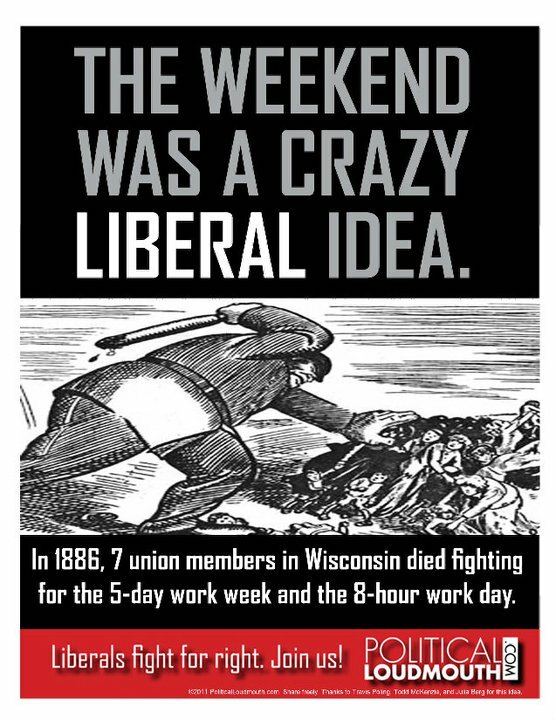 Remember that the weekend was a Crazy Liberal Idea™, and that union men and women died for the right to have them. 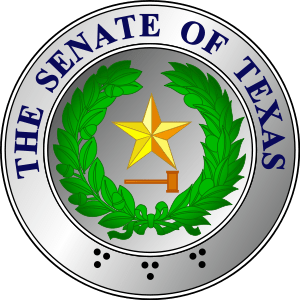 You are currently browsing the archives for the Democracy in action category.